The governing body of Green River consists of a mayor and six elected Council members. The City is divided into three wards, with two council members representing each ward. To run for election to a City Council position a citizen must live within the ward to which election is sought, be properly registered as a Sweetwater County voter, and file an application with the City Clerk at City Hall. By state statute, the filing must be completed within the prescribed deadline. Citizens elect Council members to staggered, four-year terms. There is no limit to the number of terms a Council Member may serve. Council members may also serve on standing committees appointed by the Mayor. The Council’s major functions and duties are primarily legislative. Council directs City affairs by passing ordinances or adopting resolutions. Either may be introduced by a Council member at a business meeting, but ideas for them also may originate from citizens or City staff. The Mayor of Green River is the chief elected official of the City with all the powers and duties of a Council member. 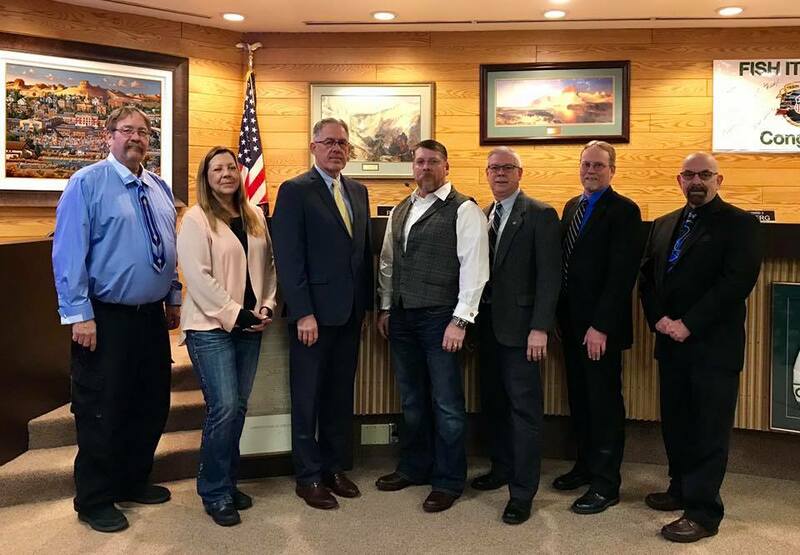 The Mayor appoints Council members to inter-agency committees and citizen volunteers to City advisory boards and commissions, with Council approval. The Mayor signs all ordinances and bonds authorized by the Council. The Council elects one of its members as Council President to serve temporarily in the Mayor’s absence or disability.